Ole Erling was born Erling Axel Olsen on July 29th 1938 in Nørrebro, Copenhagen, Denmark. Although he grew up in a musical home, it was not immediately apparent that Erling, the youngest of three brothers, would have a career as a professional musician. He worked for a period as a caretaker, and then trained as an electrician. He was once called in to the "Hammondhuset" in the Stroget in Copenhagen (a store specialising in organs), to repair a light. He heard the sound of the "Hammond" organ being played by a skilled musician, and suddenly decided that he would like to learn. 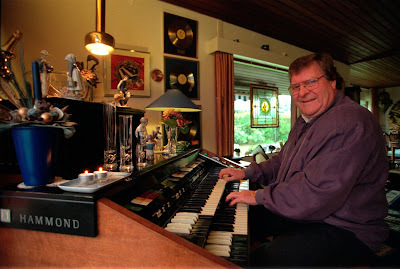 Erling bought a "Hohner" organ from an orchestra in Italy which had run out of money, and were selling their instruments. After a period of practice, he began performing at weddings and other religious events, and eventually became a 'banquet' musician (in Danish, a "suppe-steg-og-is-musiker"). 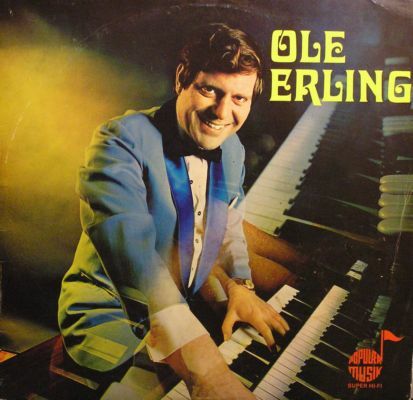 He took a stage name, Ole Erling, and in 1968 received an engagement at the Hotel Marina (by now he was playing an American "Baldwin" organ). His career gained further momentum when he began self-funding the release of gramophone records, cassettes and tape reels filled with 'fun music', as well as containing more lively repertoire. He then set up his own record label ('Populær Musik', later 'PM Musik'), and achieved some chart success, which progressed his career further. 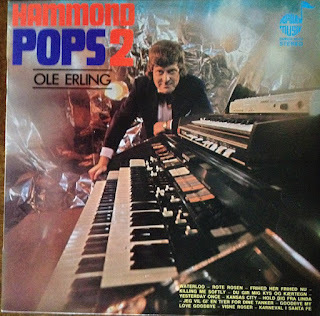 However, in the early 1980s interest in organ music was waning in Denmark, and his career slowed almost to a stop. Erling returned to the music scene after buying one of the new "Wersi" organs, happily coinciding with resurgence in interest in organ music, and for several years he played at the Langeland Festival. From the 70´s. A Danish documentary about great Danish organ stars. 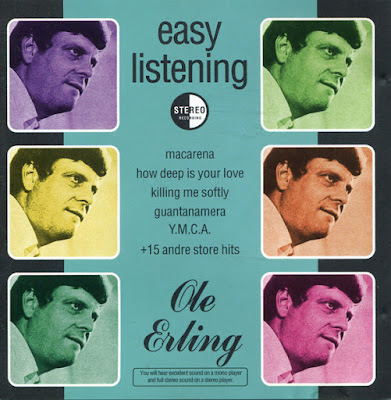 Ole Erling & Peter Erling. Here’s a little comp I found on the web plus a few bonus tracks added to fill CD.